After an evening of exciting thunder, monstrous gray clouds, and dancing rain we all awoke to a beautiful fresh new morning. It was a night of crazy dreams for all 3 of us. Maybe it was partially because we had the local Mexican food in downtown Prosser for dinner. Last night we also dare stepped in and they quickly out of the local bar. As we walked through the tiny downtown their was jazz music being blasted through large speakers out to the empty dark street corners. It was surreal! We felt as if we were in a twilight zone episode. Before we left the Desert Wind for dinner that night there was one comforting thing for me. It was being able to see/hear a cargo train outside of our balcony. It reminded me of living in Santa Cruz off Hwy 1. I must say that even with our crazy dreams, the Desert Wind was a beautiful place with a southwestern motif to stay in. There were great pictures of vineyards in the hall area. We happened to be the only ones staying there at the time, which was a little strange. It is brand new place too. I must also mention that we were each given a complimentary bottle of wine, as well as a glass of port and chocolates. Classy & Yum! In the morning as we drove away from our beautiful hotel we saw longhorn cattle grazing amongst luscious land. We decided for a familiar sense of place and headed into the local Starbuck’s for a quick breakfast. After our quick breakfast it was off to Richland to meet with John Bookwalter of J. Bookwalter Winery. John was obviously an entrepreneur. He knew much about the marketing aspect of wine, specifics of Washington State and of Merlot. He told us that he moved away for some time and when he came back he smelled the sweet aroma of fresh cut alfalfa he knew that he was home once again. Moving back to Columbia Valley, John decided to start his own winery. He appreciates the fact that you get more bang for your buck in Washington State when it comes to getting a high quality wine (e.g. 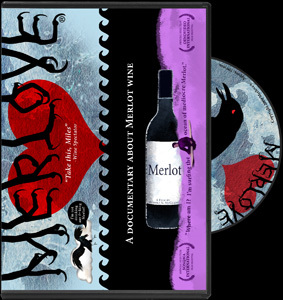 Merlot) for a reasonable price. I was very impressed that John gives some of his hard earned money from his wines back to local literary programs. John also features local bands to perform in his tasting room, also of which are recorded for local radio listening.